Faber’s bestselling hamster series is given a smart new livery, repositioning our favourite as a classic character, sitting alongside the likes of Winnie the Pooh and Wind in Willows. 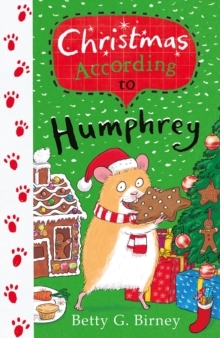 Jingle bells and dancing snowflakes, Christmas was coming and suddenly Humphrey’s life as a classroom hamster became unsqueakably exciting! The music teacher, Miss Lark, spent a lot of time preparing the class for the school show so there was plenty of FUN-FUN-FUN. But Humphrey’s classmates were also having some BIG-BIG-BIG problems.